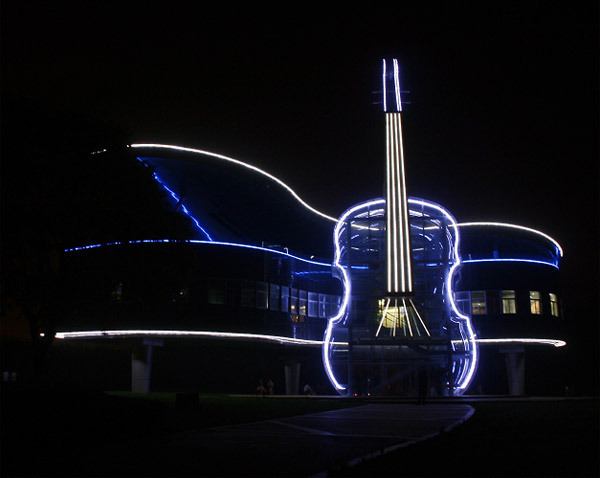 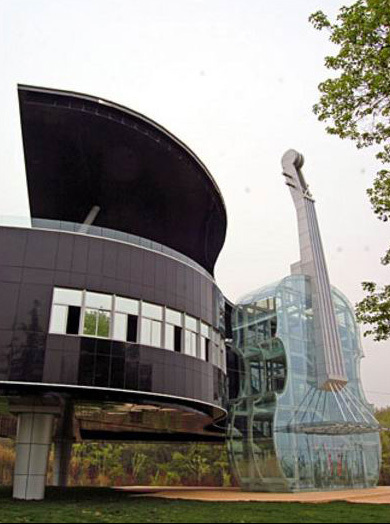 This piano and violin house is located in the An Hui province of China. 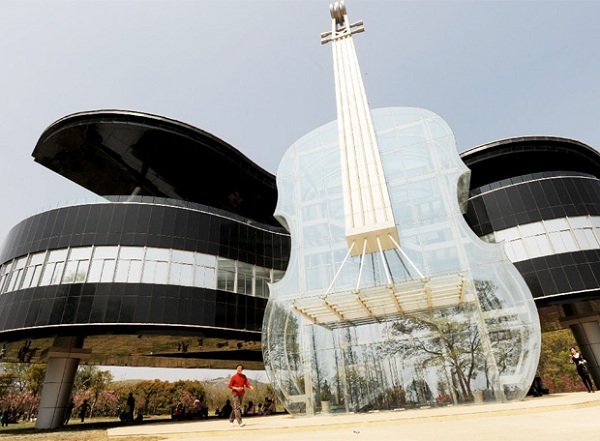 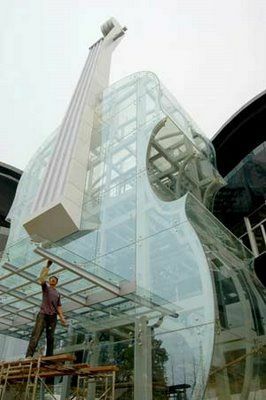 The piano shaped building contains city plans to showcase future growth of the region and the violin contains an escalator. 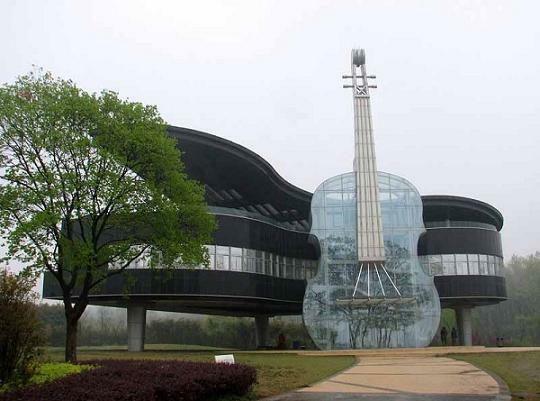 Design: Huainan Fangkai Decoration Project Co.